"Let Chaim get you home!" 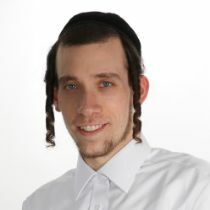 Chaim was very compassionate and professional. His knowledge of the mortgage system and great character helped our loan move speedily and efficiently. Will certainly use him again and encourage others to use him as well. Chaim worked on this file as if he was working on his own. The care that he put in while maintaining a professional work ethic is a great balance. Will certainly use him again and recommend him.